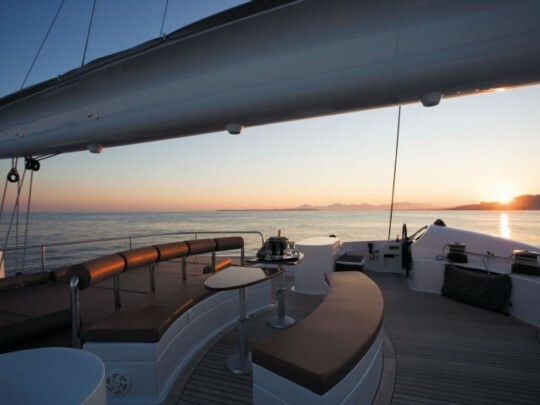 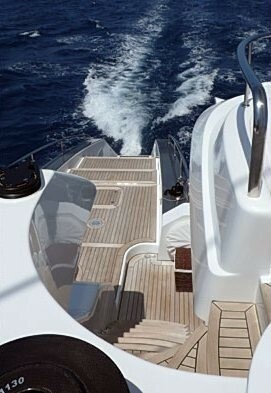 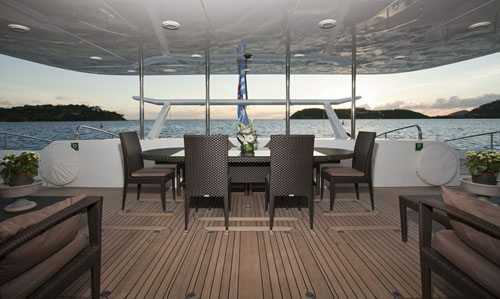 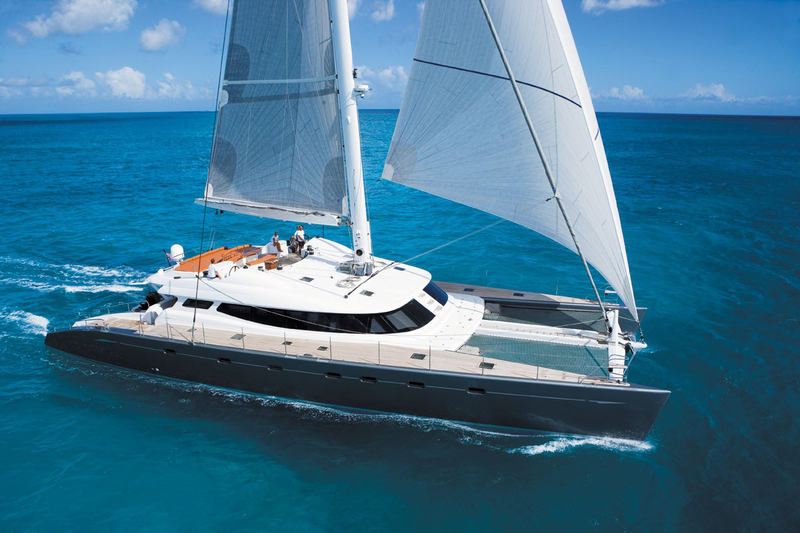 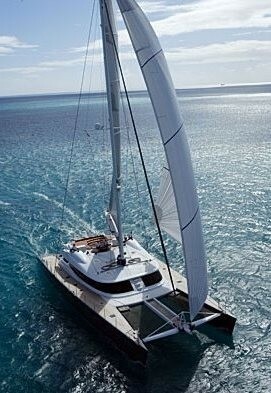 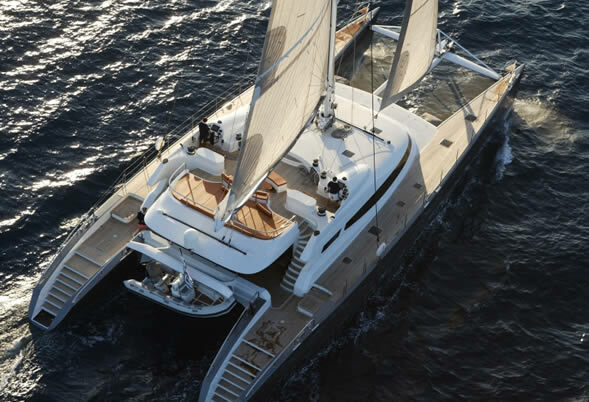 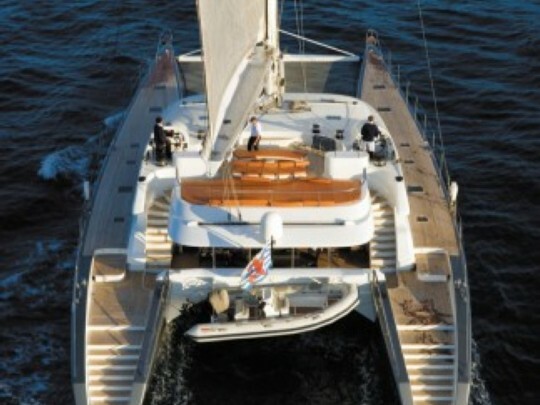 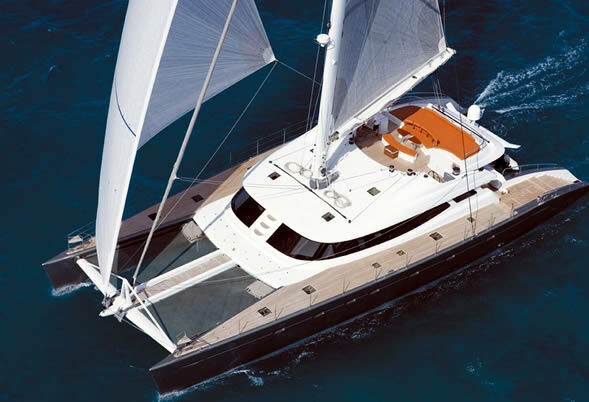 ALLURES is luxury catamaran with impressive deck space and comfort. 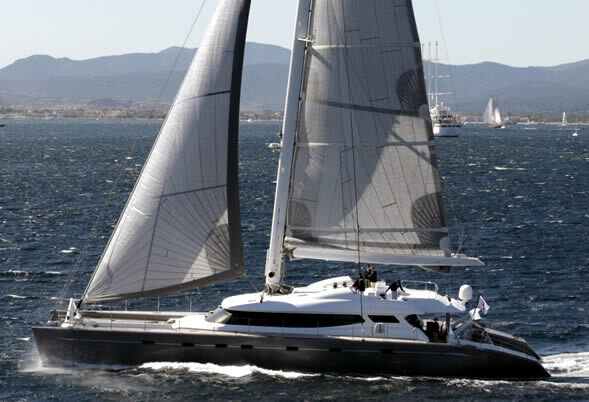 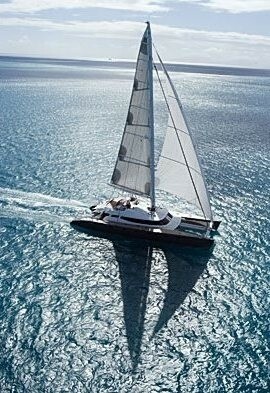 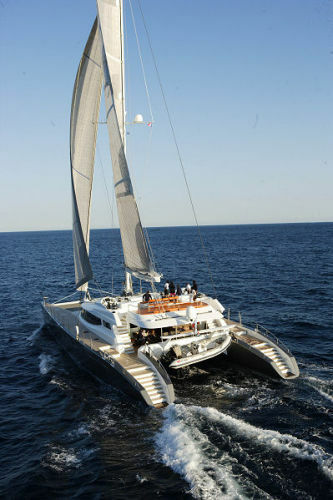 She is one of the largest and fastest, all carbon-sail catamarans in the world. 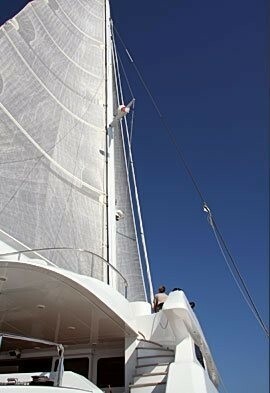 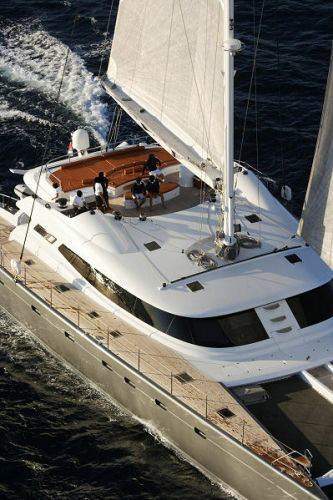 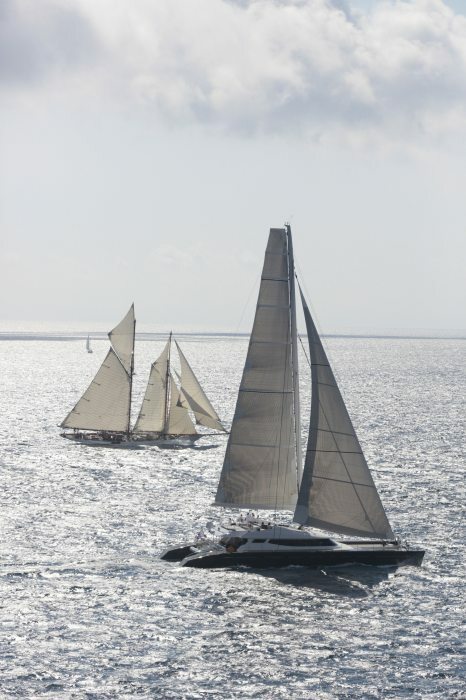 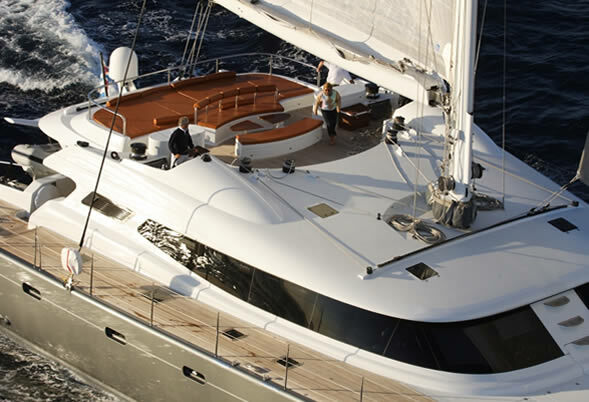 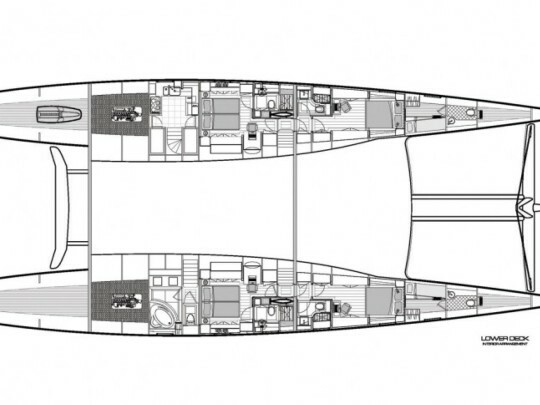 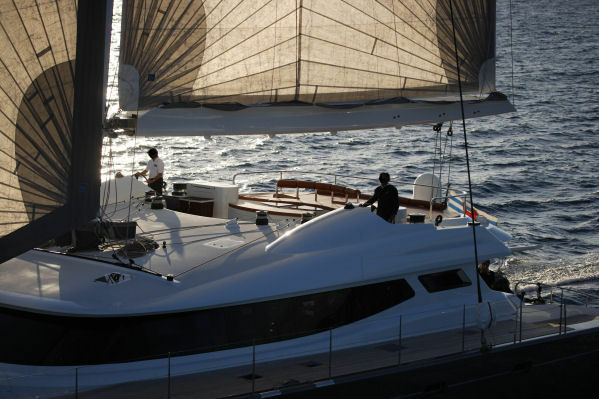 S/Y ALLURES offers a high level of comfort but also ultimate safety and ease of handling. 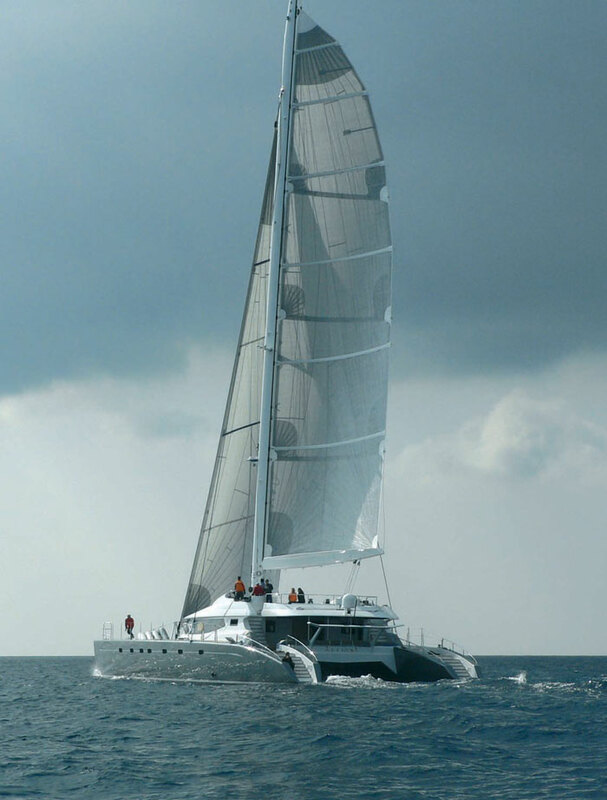 Like most large catamarans she provides performance sailing with almost no heal as well as superior sea comfort and access to shallower areas close to the beach. 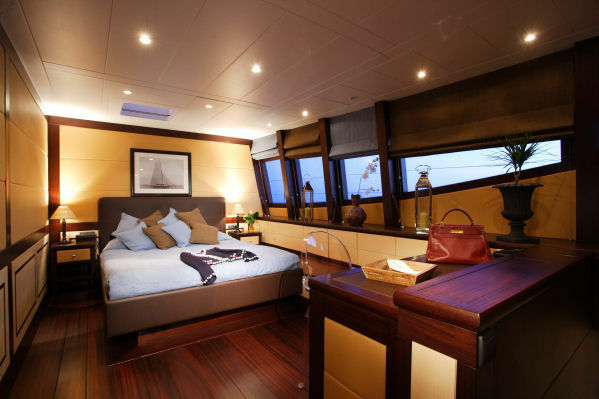 Accommodation is offered for eight guests in 4 cabins. 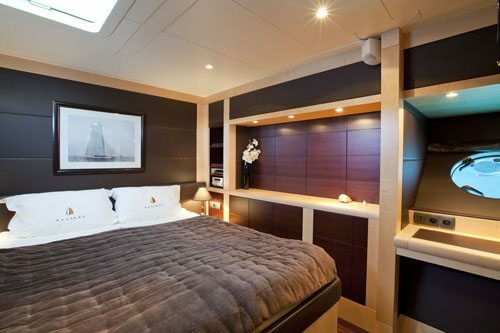 ALLURES features an exceptionally styled, Italian superyacht interior with modern lines well integrated with her interior volume. 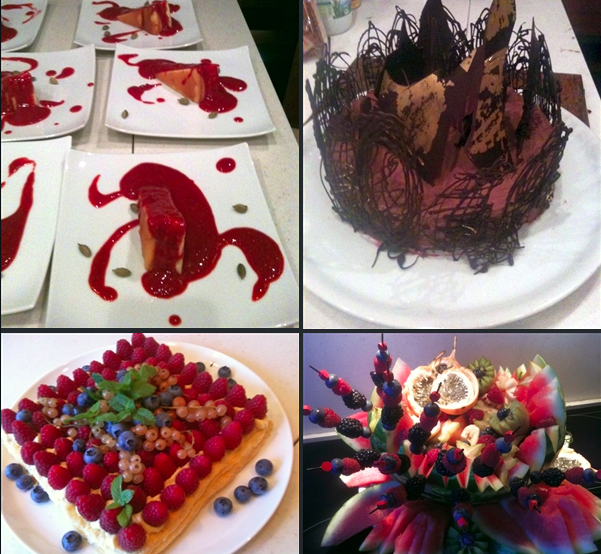 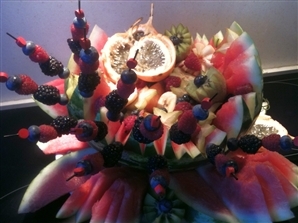 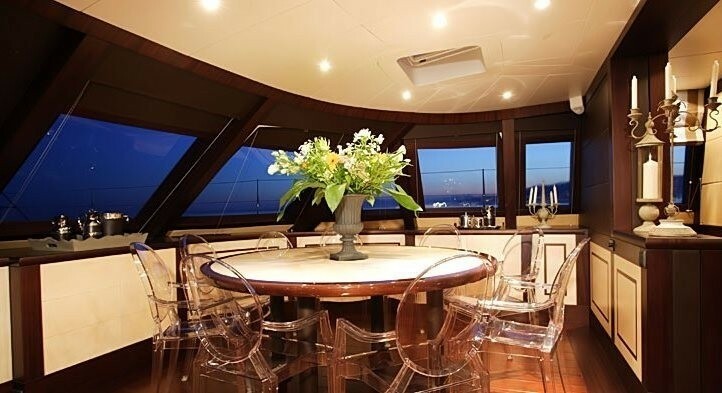 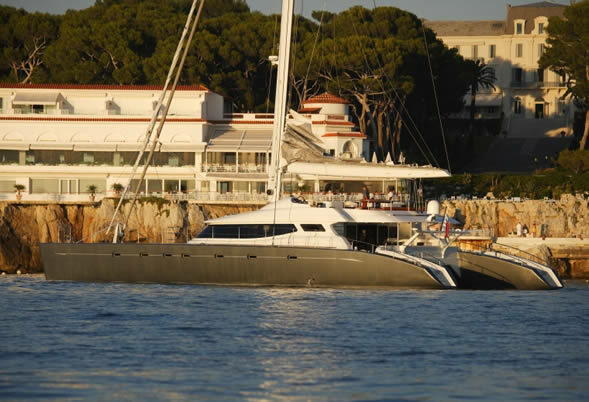 She is a superb yacht, elegant and refined, made for fast cruising or corporate entertainment functions. 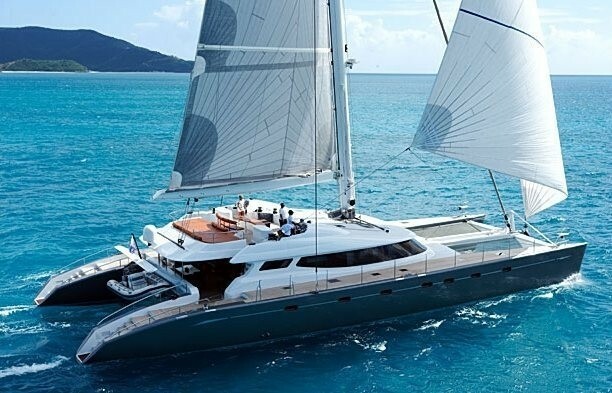 This catamaran is sporty yet straightforward to sail and represents the ideal means of living in harmony with the sea, while fully enjoying the luxury and comfort of an outstanding vessel. 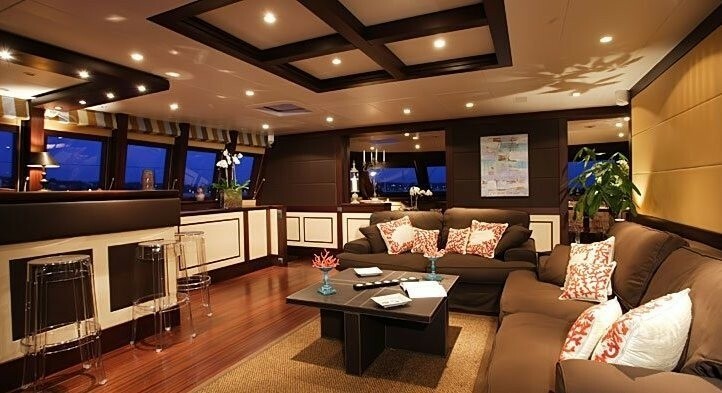 Inside, her chic Italian interiors are replete with the pinnacle of contemporary furnishings, perfectly suited for cruising in the most popular destinations. 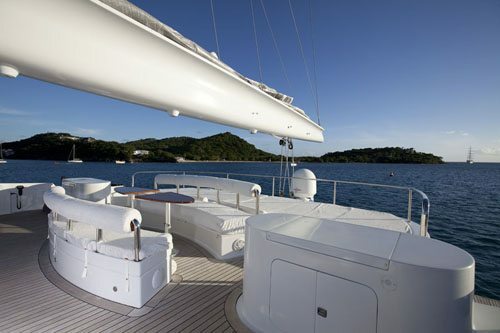 Fully retractable daggerboards allow access to very shallow anchorages and provide the ultimate in safety and performance. 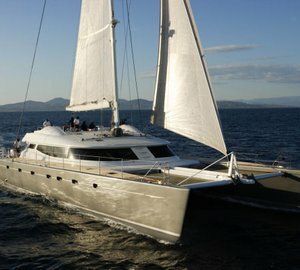 They allow ALLURES to anchor close to secluded bays, remote beaches or picturesque medieval towns. 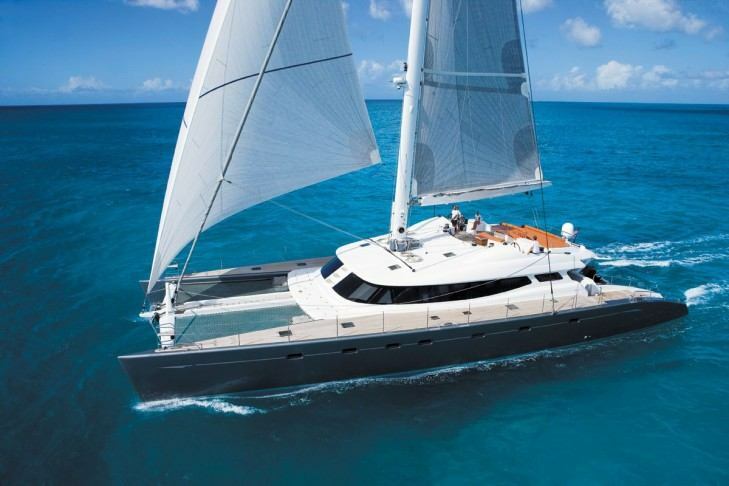 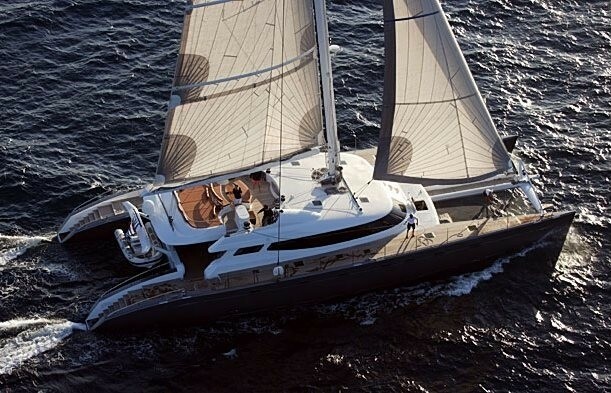 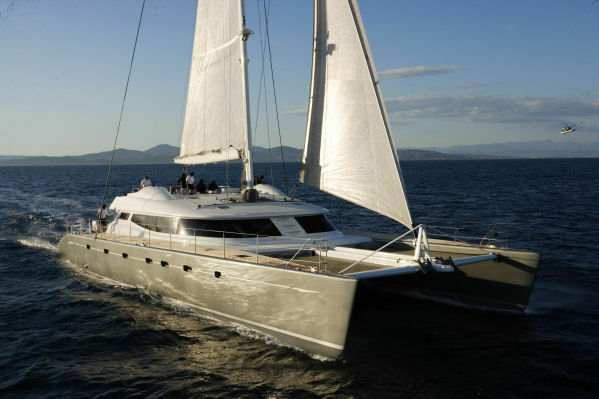 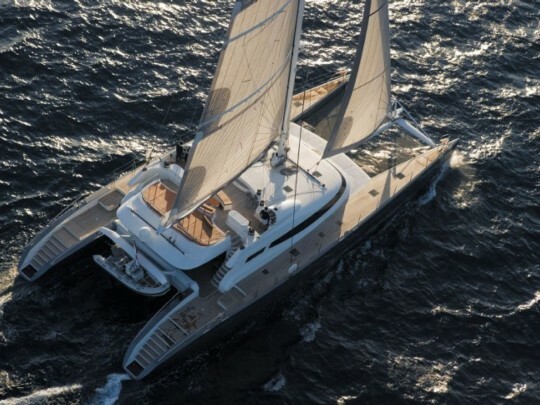 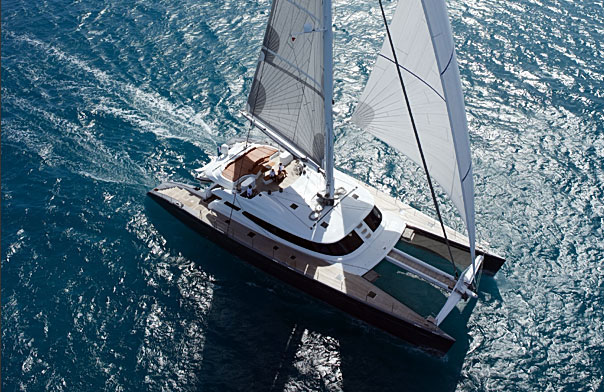 Sailing catamaran ALLURES can accommodate 8 people in her impressive guest cabins. 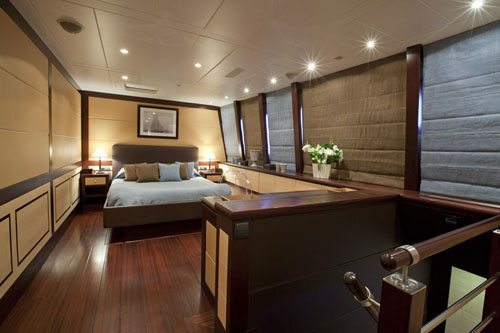 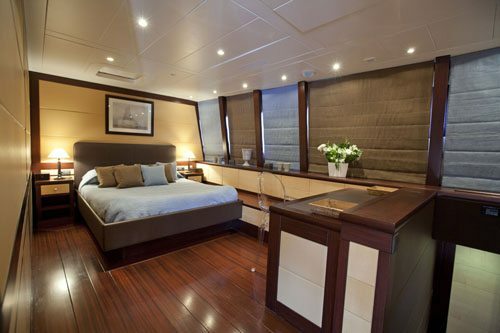 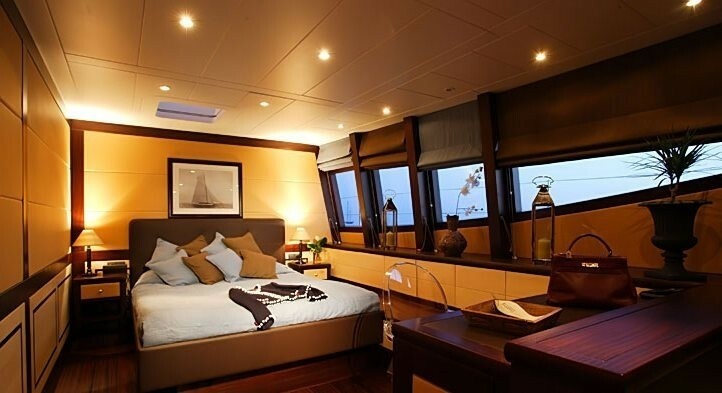 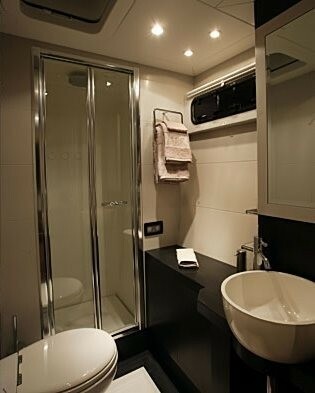 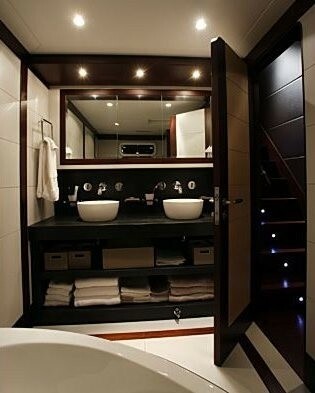 Her Master cabin on deck is spacious and is equipped with an ensuite bath and separate toilet. 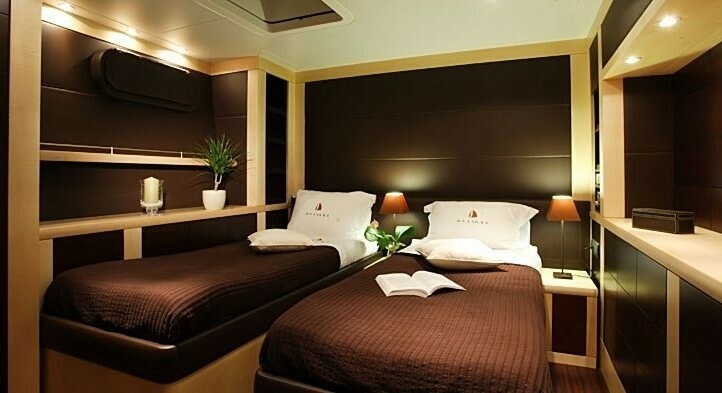 She has two doubles cabins that can convert into twins if necessary and an extra double cabin making a total of 4 cabins all with ensuite facilitates. 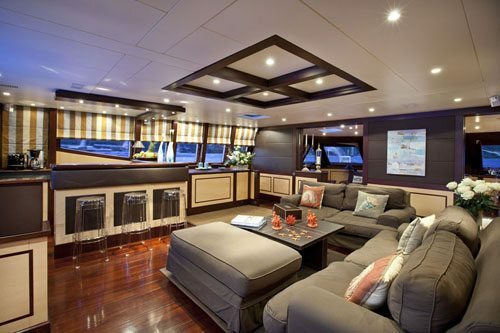 This unique and flexible layout ensures that your group can be comfortably accommodated regardless of your configuration. 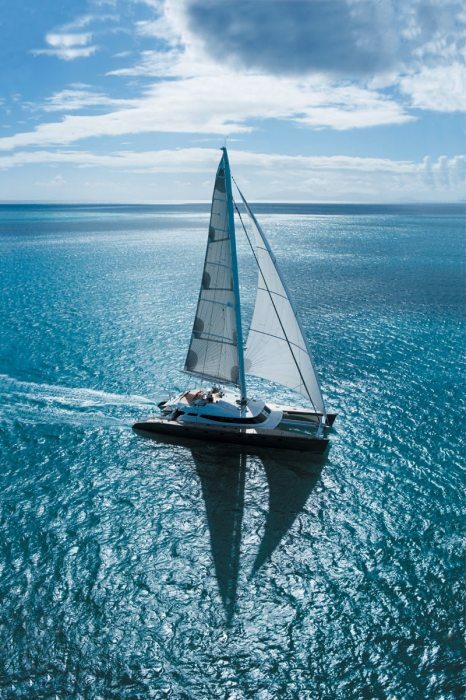 Luxury catamaran ALLURES has the following toys, tenders and extras on board: A 5,7m tender with 115HP engine, a 3 person Kawasaki Waverunner, kayaks, windsurfs, wakeboard, waterski, snorkelling Gear and fishing gear. 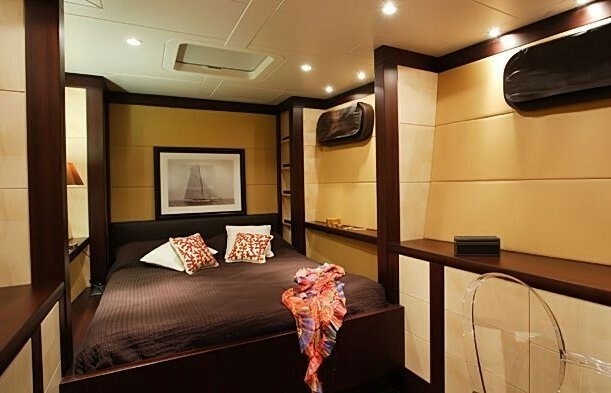 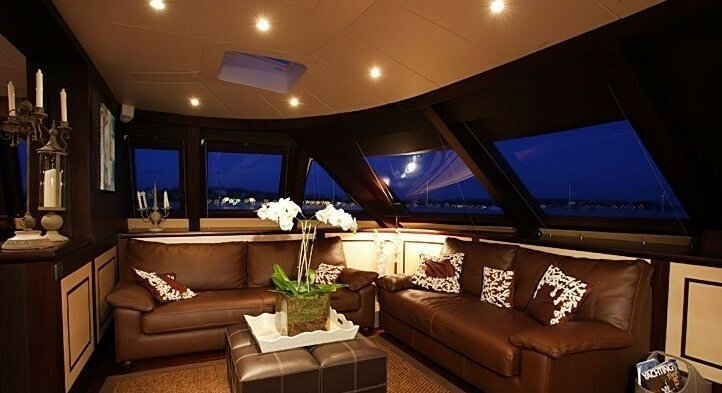 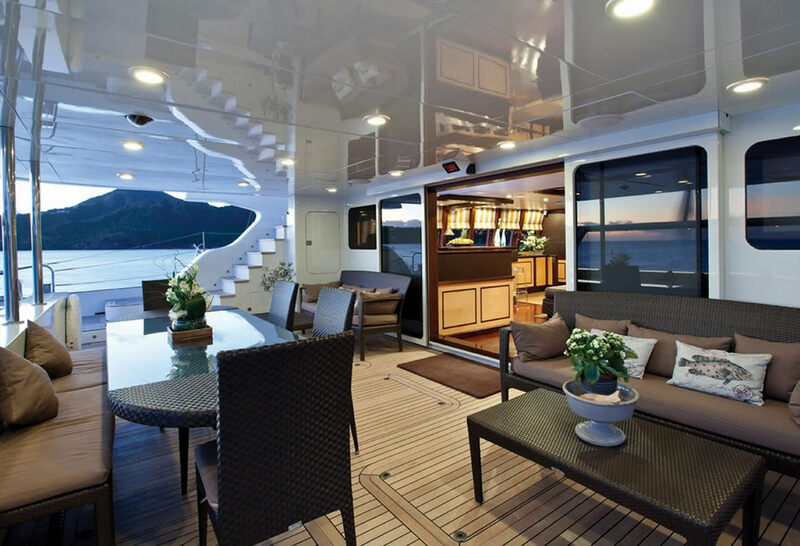 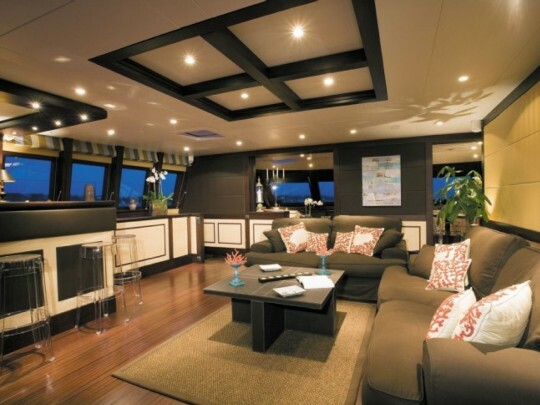 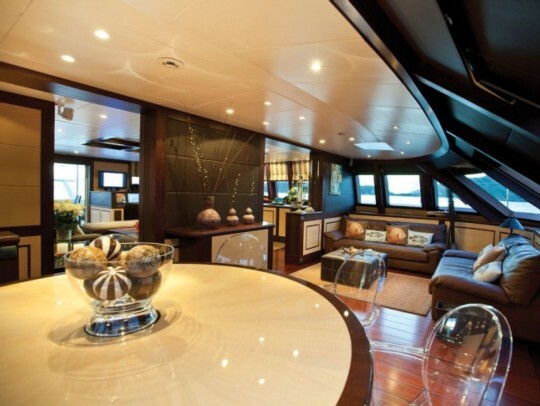 Her audio visual equipment and deck facilities include satellite television, DVD, CD, and an Ipod in every cabin. 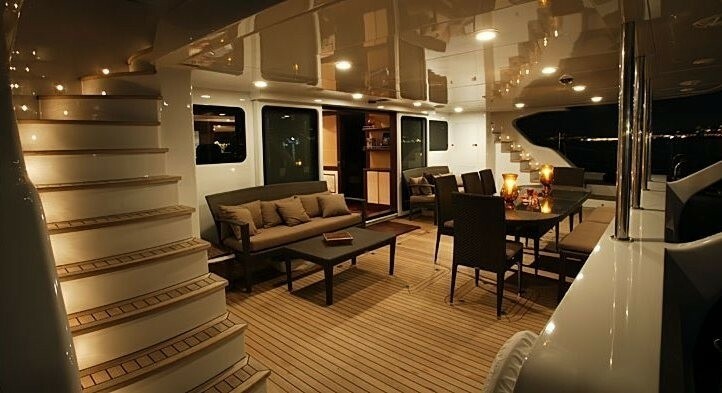 The yacht can get WIFI if in the right area otherwise Internet via Satellite.